Trivandrum, 31 May 2012: Indian railway will install televisions in the compartments of the Trivandrum - Guruvayur Intercity express. 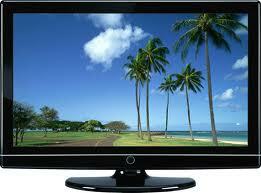 The LCD TVs will telecast popular movies and television serials. The service is made available on four trains under the Southern Railways - which includes Chennai -Bangalore - Chennai, Chennai - Mysore -Chennai Shatabdi express, Lalbagh Express etc. The railways also plans to include on-board entertainment screens exclusively for every passenger which will include filsm, music, photogallery, railway information etc. This will be equipped with a personalised ear-phone for passengers too. The contract for the system has been awarded to Choice vision, Trivandrum.